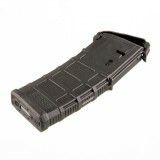 New Magpul PMAG MAG571-BLK for sale. 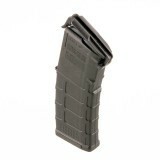 You can't find a better polymer mag for sale than this AR-15 magazine from Magpul. Made right here in the U.S. of A.! 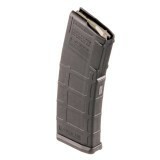 A favorite of both police and military users and AR-15 enthusiasts blasting away at the range, Magpul PMAGs are engineered for extreme durability and reliability. 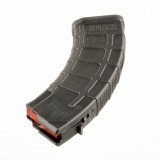 These sturdy black polymer magazines hold 30 rounds of 5.56 NATO ammunition. 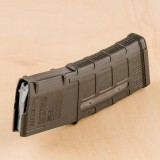 Generation 3 PMAGs feature low-profile surfaces that provide a firm grip without adding unduly to weight or bulk. They are highly drop resistant and can withstand the rigors of intensive tactical training (or simply hitting a concrete firing line at the range). Notable core components of Gen3 PMAGs include a stainless steel spring, a antitilt follower for consistent cycling, and an outer shell that can be disassembled without tools. 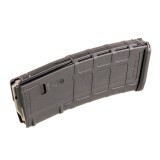 Magpul magazines are made in Cheyenne, Wyoming. 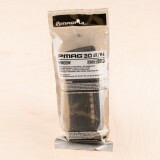 Magpul's famous PMAG is trusted for military use, competition, defense, and good old target shooting with AR-15s and other .223 Remington, 5.56 NATO, and .300 AAC Blackout rifles. 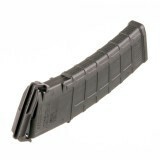 These black magazines hold 30 rounds of .223 Rem or 5.56x45mm ammo with windows for easy capacity checks. 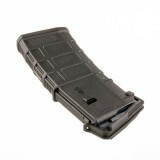 PMAGs are constructed using durable polymer that resists the impacts and rough treatment common in military or police applications. 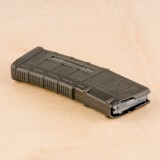 Problems associated with USGI mags, such as deformed feed lips, are significantly less common with PMAGs. 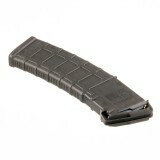 The is polymer is molded extensively on the exterior to provide a more positive grip during mag changes and refills. Based in Texas and Wyoming, Magpul is a renowned manufacturer of firearm accessories including magazines, stocks, grips, and other furniture for a variety of rifles and shotguns. 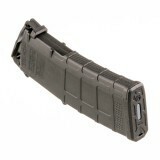 The PMAG is arguably the company's most famous product and one of the few alternative magazines officially approved by the US military for combat use. Several years in the making, Magpul's PMAG 40 resolves a thorny question that has plagued firearm designers since the invention of box magazines: how to cram more rounds into each mag without adversely affecting reliability or ease of use. 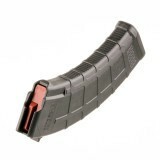 While usable for a wide variety of purposes, these magazines are particularly well suited to non-prone firing positions and competitive situations. In studying the trade-offs between bulk, weight, capacity, and durability, Magpul found 40 rounds to be the sweet spot achievable through modern manufacturing methods. These magazines hold 10 rounds more than standard STANAG mags while still providing reliable cycling through many thousands of test rounds and use in simulated fighting conditions including hard surface drops and dust exposure. GEN3 PMAGs are made from the same sturdy black polymer that other Magpul products use, along with stainless steel springs and anti-tilt followers. Haven't been to the range yet but looks like good magpul stuff. Magpul has good stuff, this looks like it is good also.